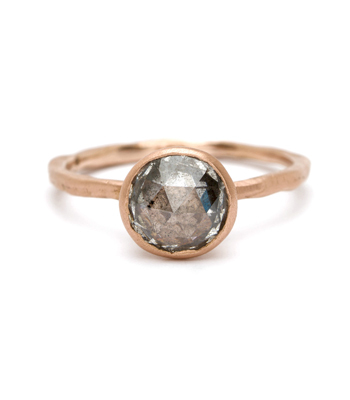 We love the combination of elements that come together in this one-of-a-kind engagement ring! 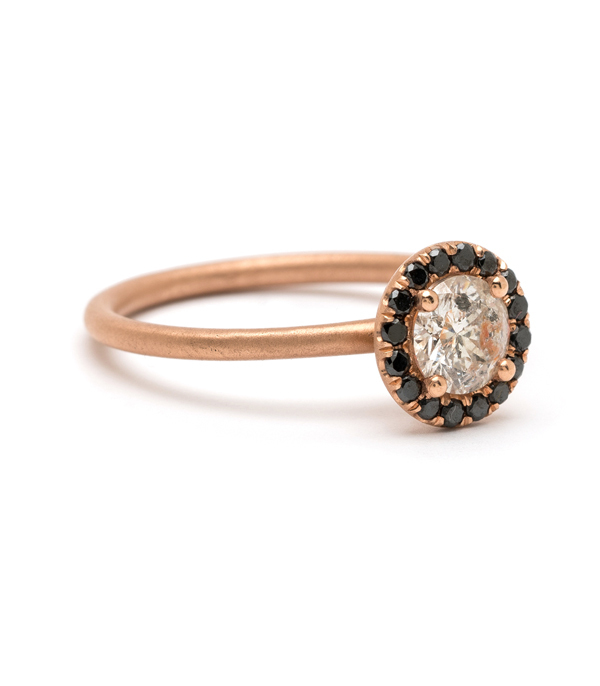 A central Salt and Pepper Brilliant Cut diamond with flashes of orange color patches (0.54ct) is surrounded with a row of black diamonds, creating a dramatic impact. 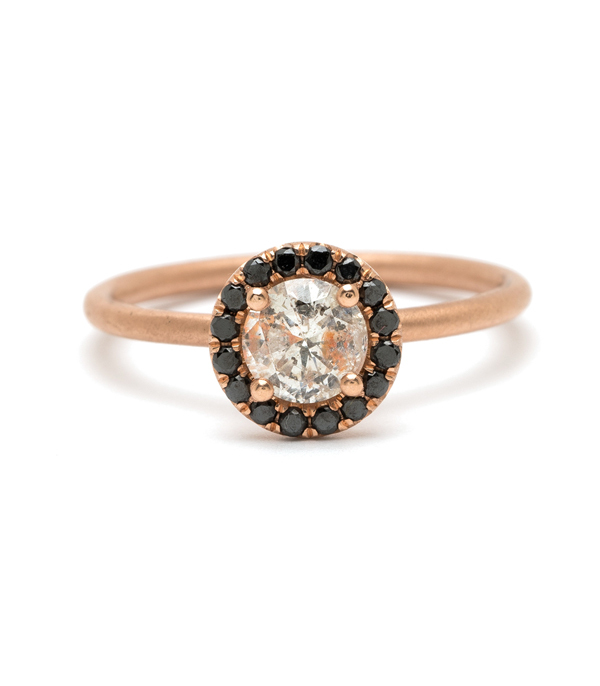 The warmth of the 14K rose gold, paired with the fiery swatches of the center stone give this ring a unique edge. 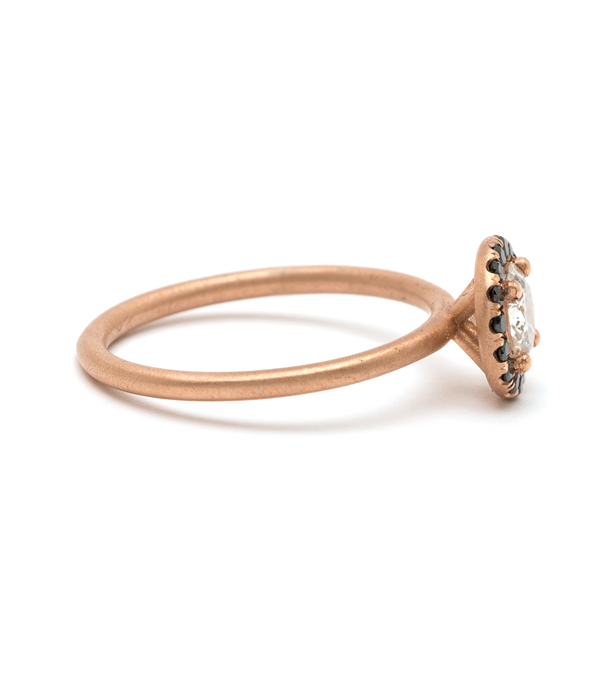 We call it "The Bellini Ring" not only because it simply calls for a toast, but it is the jewelry equivalent of peachy sparkling deliciousness! 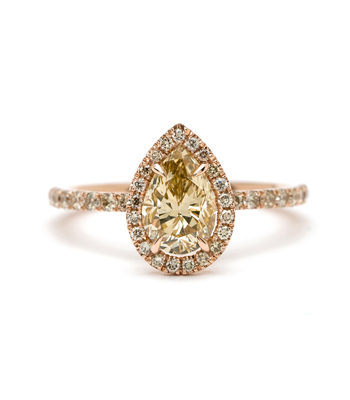 One of our most popular halo-style engagement rings. 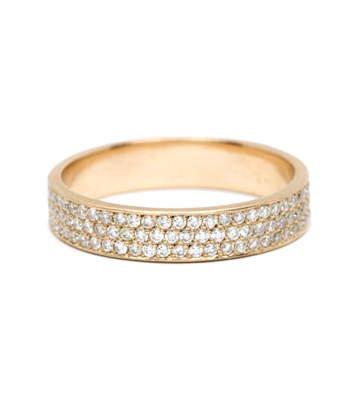 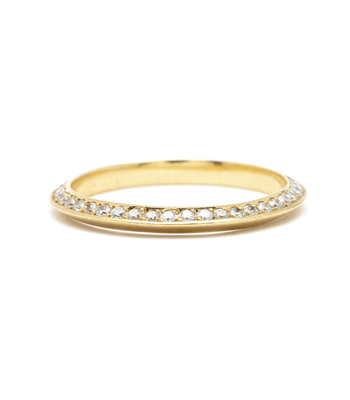 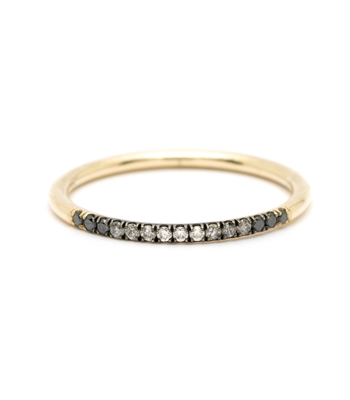 This is truly for the bride who wants a twist on tradition- timeless and classic with an edgy touch! 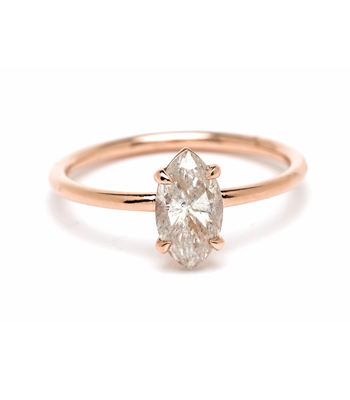 Categories: All Engagement Rings, Bellini, One of a Kind Bridal, Rocking Tradition, Salt and Pepper Diamond Rings.